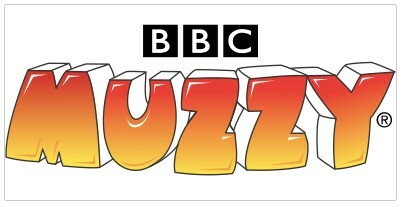 Developed by the BBC, MUZZY is an award-winning language learning program designed specifically to help children, ages 2 and beyond, become bilingual. For 30 years, MUZZY’s video story has captivated children and immersed them in a new language, mimicking the way they learned to speak their native tongue. Now, a reimagined MUZZY prepares a new generation to learn a second language through extraordinary 3-D animation, an expanded Big Muzzy Story and hundreds of games and activities. MUZZY supports ESL and other language programming as well as bilingual story hours and sing-alongs. MUZZY is so much fun, children don’t know they’re learning! MUZZY is modeled on the way we all learned our first language. By employing a natural immersion approach, MUZZY surrounds the learner with visual, aural and contextual language. MUZZY was designed for the way children learn. There is no memorization and no drills. MUZZY emphasizes functional language and features repetition and spiraling. As the animated story unfolds, words and concepts are introduced and then reviewed again and again in new contexts. MUZZY’s multi-sensory, multi-layered approach works powerfully with beginning and intermediate language students of all learning styles. A subscription-based resource, MUZZY Club is available to children online. MUZZY Club provides all learning resources including the MUZZY Stories 1 & 2 and all games and activities. A full suite of languages is taught through MUZZY Club. All devices are supported. To keep children safe, they access MUZZY Club on a mobile device through Puffin Academy.